Megan has a gift for carrying her viewers away into a mystical land of fantasy and wonder. Frequently rich and vibrantly colored, this abstract rainbow landscape is reminiscent of Wonderland, Suess, or Wonka. 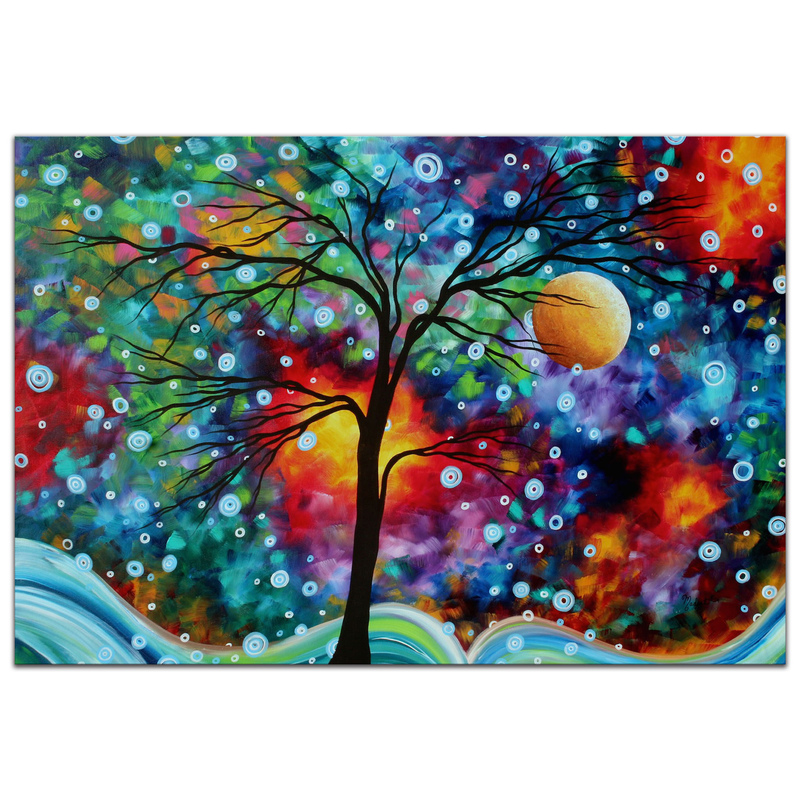 An exciting splash of vibrant colors create the backdrop for the elegant silhouette of a dormant winter tree perched on rolling fantastic hills, with a golden moon surrounded by bubbly modern stars. 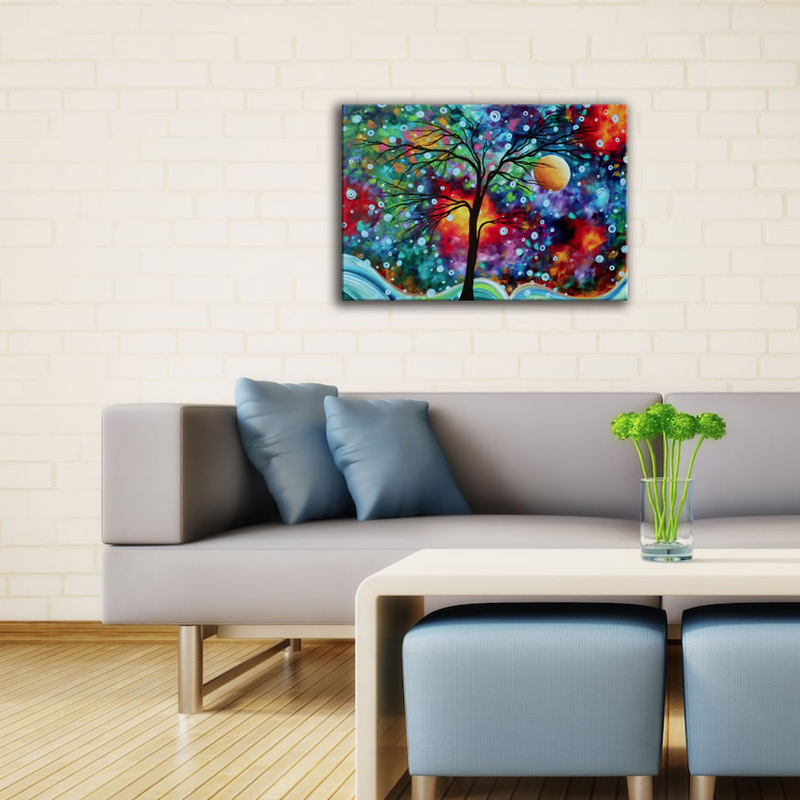 Enjoy the magical essence of this creative masterpiece, as it creates a welcomed pop of rich colors on your wall.